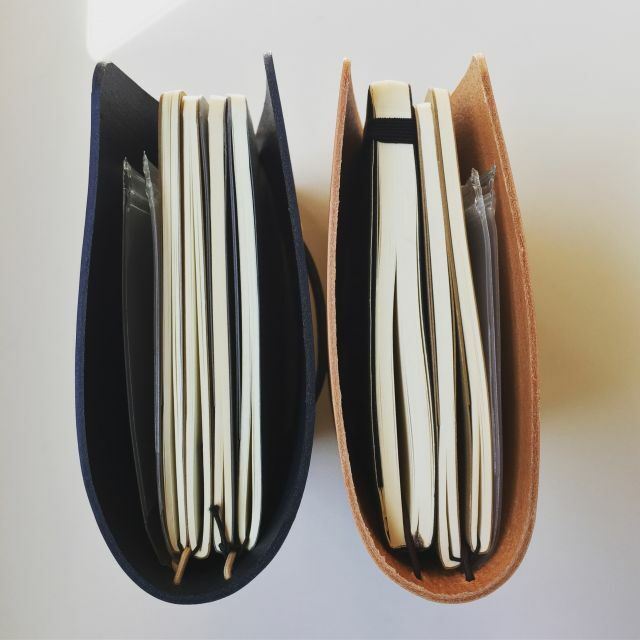 Over this last month I have been experimenting, as you'll know from the last newsletter, with housing a soft back Moleskine journal in a Slim inkDori along side a few large cahier journals and a zipper organiser pouch - because I cannot be without my zipped organister pouch! I loved the set up, but wasn't completely comfortable with hanging all that off one elastic - so I have created the inkDori Slim Plus - it's the same size and shape as the inkDori Slim, but is threaded with two elastics. This means you can have one elastic for your soft cover journal, and another for the cahier journals and zipper orgnasiser pouch. There is also a new colour ... Hackney Carriage Black - yes, our first black inkDori! It looks very smart I have to say, perfect for the sleek business professional, or chic fashionista! From today until 11pm (GMT) on Sunday you can save 10% on a new inkDori Slim Plus, by using the code "BuJoLover".